While the Buick Envision is a popular SUV for car guys and gals today, it's also extremely popular because of the connectivity features that now come with it. Those features make it easy for you to stay connected as you hit the road in this luxury compact SUV. You deserve to be in a minivan that has interior features that keep you and your family comfortable and content. 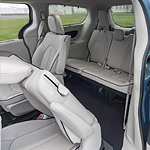 If you are looking for a hybrid minivan, check out the popular Chrysler Pacifica Hybrid and discover all that is offered in its interior. 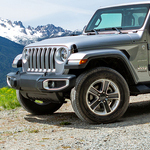 The Jeep Wrangler has always been a favorite in Elkhart because of its rugged exterior. At Lochmandy Motors, we’re excited to show some of the new changes to the exterior so that you can see just how beautiful it is. The iconic headlamps continue to be round in shape. There’s a full-size spare on the back as well as taillamps that look as though they have been bolted into place. You can also enjoy a fold-down windshield as well as a power top that can be opened with the touch of a button. Some vehicles are going to perform better than others. While you may hear about the performance of a vehicle, one thing that is important is knowing the factors behind the performance of the vehicle. We at Lochmandy Motors look at why a vehicle performs well so that you will know when you check it out. 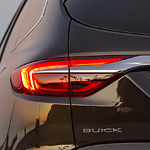 We have the 2019 Buick Enclave to look at as an example. Are you looking for a mid-size SUV? Are you trying to find something that is capable of a lot? Your search could be over when you check out the Acadia and all that this popular GMC vehicle offers to you. There are many paths that you would like to take and you want to find a vehicle that can handle all kinds of terrain. The GMC Acadia is built to take on all kinds of roads and all kinds of conditions. You can trust this vehicle to get you a lot. These days, the ability to stay comfortable during a long drive is important. The 2019 Buick Lacrosse is a popular full-sized luxury sedan that's available with a number of great features that can keep you cozy wherever you go. The seats alone will make you never want to leave the car. They're covered in a soft perforated leather. 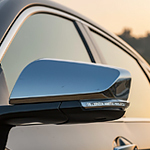 Buick lets you take the comfort to the next level with some optional upgrades. You can get the seats with built-in heating elements and additional ventilation. The Chevrolet Impala is a full-size sedan that has grown in popularity among drivers. It offers a range of safety features to help minimize the impact of an accident, or to avoid one completely. With a 5-star overall rating for safety, this is a vehicle that offers a range of useful safety features. Dressed to impress, Chevrolet's Cruze is a study in design excellence. With your choice of stylish colors and body styles, the elegance of the new Cruze can easily match your individual tastes. 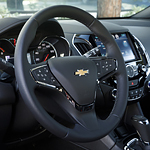 The interior of the Cruze was designed with sublime comfort in mind. The cabin has available heated front seats and leather-wrapped steering wheel to keep you warm on chilly days. The ambient lighting adds a touch of splendor to an already luxurious cabin. When looking at the GMC Sierra 2500HD, one thing that you are going to notice is that the design is more for toughness than it is for aesthetics. Also, there is a lot of thought that has been put into the cargo carrying abilities of the vehicle. One of the features for the cargo carrying aspects of the GMC Sierra 2500HD is the CornerStep Rear Bumper. This makes it easier for you to access the cargo bed. This allows you to step on it so that you don't have to struggle and climb to get to it.